Gary is an award winning multi-platform producer, author, speaker, educator and Director. He was recently Exec Producer and Mng of Product Development at ABC TV Multi Platform responsible for delivering new editorial formats against ABC TV shows including dual screen, social TV and mobile. He founded the global training group StoryLabs.us in 2010 (previously founding innovation lab LAMP in 2005) growing innovative multi-platform, transmedia productions and is CEO of Multi Platform company MUVEDesign.com creating branded & story based multi platform, augmented reality and virtual worlds for major brands. Gary was Senior Development Producer and Manager at the BBC in UK for 8 years – delivering interactive Social TV, broadband internet and emerging platforms to millions of UK users. 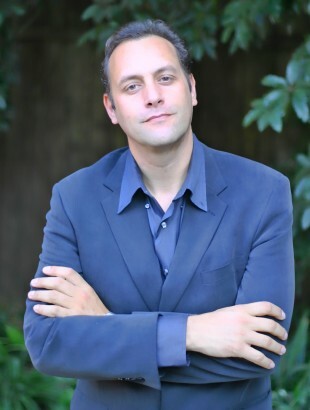 After 2 years in the US as interactive producer Gary then became the founding director in Australia of the Innovation Training Unit ‘LAMP’ via AFTRS between 2005-10. A Distinguished Talent permanent resident & citizen in Australia he also runs a top ten AdAge Power150 Media & Marketing blog personalizemedia.com in Australia. Gary designed & lectured on full time multi platform content courses at MetroScreen and AFTRS , has been an International Interactive Emmy juror, adjudicates on several multi-platform funding initiatives and authored several publications on multi platform production and strategy.